Application required for more than 30 days. 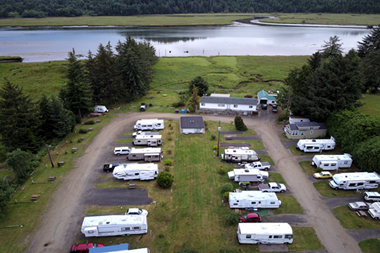 ** No monthly discounts May - Sept.
Rates include 1 RV unit and 1 vehicle. 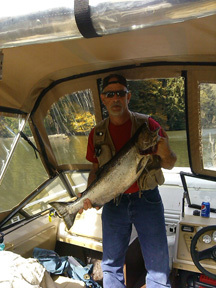 Boats and additional vehicles are an additional $5.00/day. Space is limited, so please specify at time of reservation. Please call 541-563-3485 for reservations. Check In - after 1pm. If you'll be arriving later than 7pm please call to let us know. All sites are back-in. For great tips on how to back up your RV, check out this video. *Deposit is required at time of booking. Deposits are refundable if cancelled up to 48 hours in advance of arrival. * We have voluntarily cancelled our membership as a Good Sam park. We do not agree with their pricing structure for small parks, or that they allow non GS parks to get the same advertising as those who pay for the membership. We remain the same high quality park and continue to be diligent about cleanliness and safety. GS membership discounts honored on nightly rates if you let us know at time of booking.